A rare creamy and dark stone developed from volcanic movements in the mountains of Bali; Bumble Bee Jasper offers an appealing swirl of color. 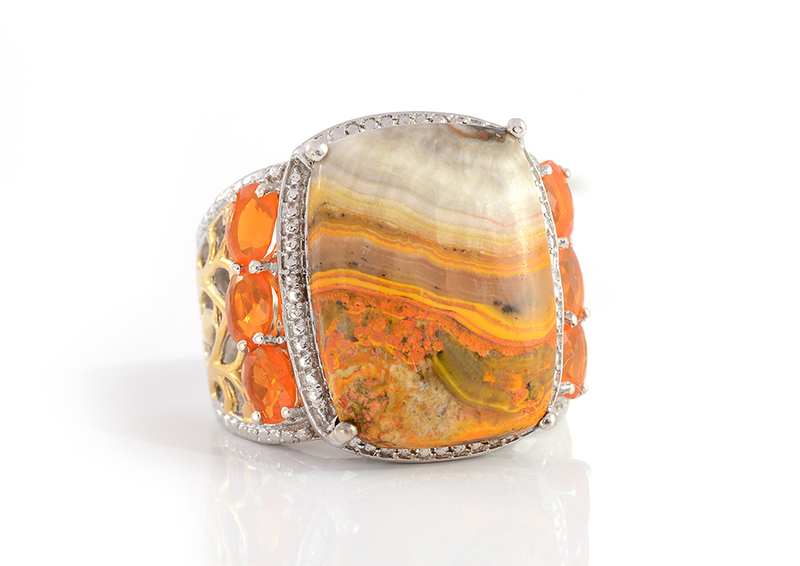 With its distinctive yellow, orange, and black banding, it's very easy to see how Bumble Bee Jasper earned its moniker. The best examples of this stone feature a high contrast between layers of banding. Formed as cabochons for jewelry, occasionally, they may also be fashioned into ornamental objects. Obtaining specimens bearing a consistent look is tough. 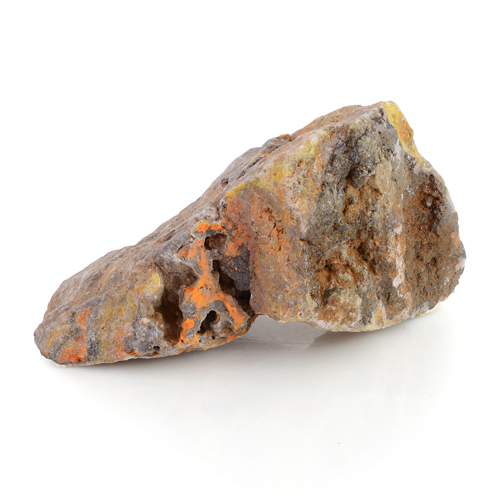 Though traded as jasper, this gemstone is a calcium carbonate. Jaspers are heavily composed of quartz, and this gem contains very little. The material is soft and easily polished. It is treated with resin to improve its hardness and durability. • Indonesian locals know it as Batu Badar Blerang. Translated, this means "fumarole jasper". 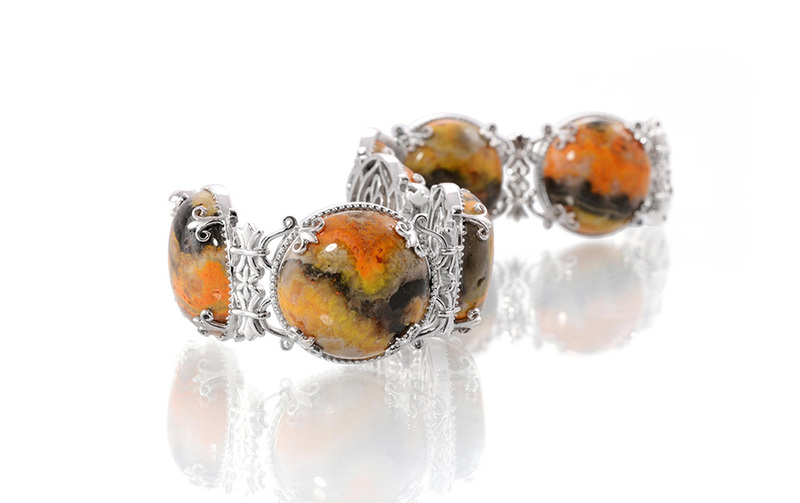 • This stone is also traded as Eclipse Jasper or Mustard Jasper. Bumble Bee Jasper originates from Mount Papandayan, which is just over nine miles from the town of Garut in West Java, Indonesia. The mountain stands 8,743 feet high and is one of the tallest volcanoes in Indonesia. It is susceptible to eruptions and dangerous gas emissions, making mining difficult. This material ranks 6.5 to 7 on the Mohs scale. Color displays bands of yellow, orange and black. Blending with white, orange, red, brown or green hues is possible. 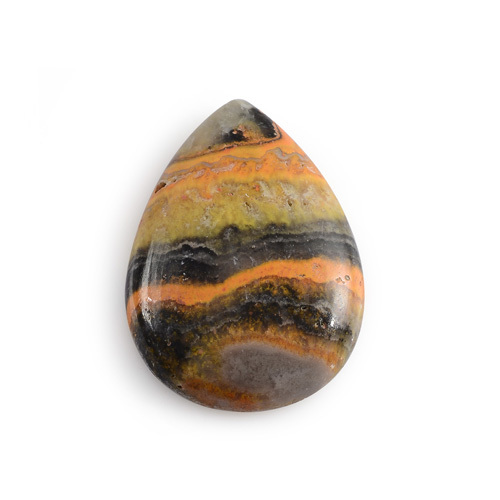 Bumble Bee Jasper is resin coated to improve durability.